Man City will reportedly be told that transfer target and Borussia Dortmund ace Julian Weigl will cost them £68m if they wish to sign him in January. The 23-year-old has established himself as an important figure for the German giants over the past three seasons, making over 30 appearances in each campaign. As he continues to impress in the Bundesliga, it appears to have attracted the attention of Pep Guardiola, but according to The Daily Star, he won’t be cheap if the Premier League champions wish to sign him as Dortmund are said to value him at a whopping £68m in January. There’s no denying that City could do with reinforcements in that department though, as with veteran Fernandinho being asked to again play a pivotal role this season as an ever-present in Guardiola’s side, it remains to be seen how long he can continue to display such consistency. The Brazilian international turns 34 next year, and although he made 48 appearances in all competitions last season and hasn’t missed a minute of Premier League football so far this year, it has to be a concern for Guardiola if he was to pick up an injury or suspension. In turn, a move for a player like Weigl, who still has his entire career ahead of him, would seem like a sensible move from the Spanish tactician, but it remains to be seen if the club are willing to meet those touted demands from Dortmund or at least try to negotiate a deal. 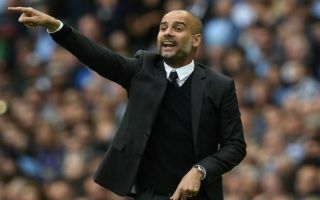 City will be looking to compete on various fronts again this season, and in order to do that, they may well feel as though if they have the chance to bolster the squad in January, they should take it. Especially in an area in which they appear light.